Choosing the right bike for you. 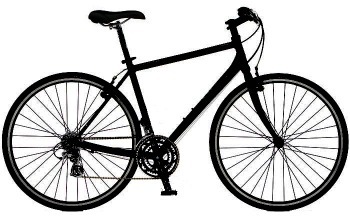 The following assumes you are interested in a bike for cycling on roads that is suitable for day rides, training, some touring, commuting to work, or simply getting around town. It also assumes that you haven’t had much experience buying a bike in recent years. The information presented starts off with models that can be used for any number of purposes, and works its way up to dedicated road bikes which tend to emphasize performance. Although road bikes have regained some of their popularity in recent years, there can be no doubt that mountain bikes dominated the market throughout the 1990s and the early 2000s. It seemed that the industry just couldn’t make enough of them, and they sold like hot cakes. So chances are that you may already have an old mountain bike stashed away in your basement, garage, or backyard. Due to their very nature, mountain bikes don’t make great road bikes. They tend to be heavier, their fat tires generate rolling resistance, and they lack the high gearing needed to go fast (something you’ll miss when, for example, you are riding with a strong tailwind). Mountain bikes come with flat handlebars (or handlebars with a slight rise), but these offer a limited number of holding positions, something that can lead to hand numbness on longer rides. And finally, there is no way to attach a frame-mounted rack on mountain bike with rear suspension. Despite all of these shortcomings, all it takes is one simple change to make the average mountain bike more suitable for road use. Swap the knobby tires with slick tires, or road tires that have a light tread pattern. Look for tires that fit your rim and are slightly narrower than what originally came with the mountain bike (probably something like 26″ X 1.75″ tires). All things being equal, choose the tire rated for the highest air pressure. The higher pressure will reduce the rolling resistance and improve the bike’s performance on pavement. Switching the tires will make a mountain bike much more suitable, but still not ideal, for road use. There is, however, one type of road cycling where mountain bikes do well. Many people believe they are a good choice when it comes to handling the daily demands of bicycle commuting. If your route to work involves curb jumping and riding over potholes, patched up streets, and sunken sewer covers, then a mountain bike may be equal to many road bikes. The hybrid bicycle is supposed to incorporate both mountain and road bike features, although most of these designs appear to be biased towards road use. These bikes have flat handlebars (with some rise in them) that are often equipped with trigger style gear shifters typically found on mountains bikes. The diameter of the wheels on a hybrid tend to be larger than on a mountain bike, and they are usually fitted with fairly wide road tires ( 700 x 35 mm or 700 x 38 mm tires). While these tires are quite wide, they are still narrower than what you find on most mountain bikes. Hybrids generally come with “braze-ons” (mounting points) for installing fenders and attaching a rear rack directly to the frame. The philosophy behind these bikes varies from manufacturer to manufacturer, but many hybrids are designed and marketed as so called “comfort bikes” (or they closely resemble comfort bikes). Some of these can be quite plush, and come with a big soft saddle (seat), adjustable stem for changing handlebar height, a suspension seat post, and mountain-bike-inspired suspension forks. Furthermore, a lot of comfort bikes feature a totally “upright” riding position, or something very close to it. As comfortable as they may be, many of these bikes are not ideal for longer rides. For example, the big soft seat may feel very luxurious when you first get on the bike, but their lack of support can lead to chaffing and discomfort when pedaling over longer distances. Like mountain bikes, many hybrids will not have the higher gearing which makes pedaling fast a lot easier, and their wide tires contribute to rolling resistance. 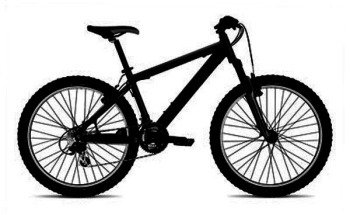 Moreover, suspension forks are not really needed when cycling on pavement or a crushed stone surface, and they add needless weight to the bike. The hybrid’s “upright” riding position is a feature that people often look for because it feels very comfortable, and this may be true for shorter rides at slow to moderate speeds. However, a riding position where you have some forward lean in your upper body will make for more efficient cycling. It’s not a question of being bent way over as would be the case with an out-and-out racing bike. It is simply riding with a ceratin degree of forward lean (the exact amount should be determined by your riding style and what you are comfortable with). The “hybrid” label is a bit of a misnomer for these performance bikes. There is some resemblance between bikes in this category and hybrids described above insofar that both are fitted with flat, or almost flat, handlebars that are equipped with trigger style gear shifters. However, everything else about performance hybrids have more in common with the pure road bikes described under the next heading. Performance hybrids are sometimes marketed as training or fitness bikes. They are responsive and may be equipped with the same light weight frames found on road bike models. These can include high-end carbon fibre frames on more expensive models. Performance hybrids also have the higher gearing commonly used on road bikes, which makes for more efficient pedaling when going fast. They almost always come with large diameter wheels that are fitted with fairly narrow tires (often 700 x 25 mm or 700 x 28 mm tires). And finally, these bikes generally come with “braze-ons” (mounting points) for installing racks and fenders. The design for these bikes often attempts to balance a more upright sitting position and with the cycling efficiency that comes when there is some forward lean in the cyclist’s upper body. The result is surprisingly comfortable riding position that avoids the extremes of sitting totally upright, or being bent down on very low handlebars. The exact formula for accomplishing this varies from manufacturer to manufacturer, so you should take different models out a short test ride to see what you are comfortable with. If you do find a performance hybrid that has riding position with too much forward lean for your taste, a good dealer can often correct this by swapping out the handlebar stem for one with a little more rise. The one possible disadvantage with these bikes is a consequence of their flat handlebars. People like flat bars for because they are in fashion, or because they are familiar with the trigger-type gear shifters and break leavers on mountain bikes. However, these type of handlebars do not provide as many holding position as the drop bars that are found on pure road bike, and this can contribute that hand numbness on longer rides. The installation of inexpensive bar ends will help eliminate this problem by provide an extra holding position. 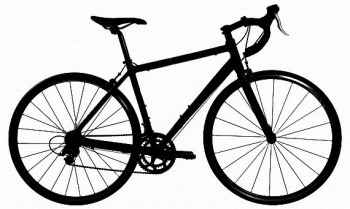 Bicycles in this category have the drop bars (handlebars that curve downwards) which everyone associates with pure road bikes, or racing bikes. However, they merit a distinct category because these bikes feature what is often called a “more upright riding position”, and have frames that are designed with a “relaxed geometry”. As a result, they can be surprisingly comfortable.Despite having the “look” of a purebred racing machine, these bikes have a riding position where you do not have to bend over very low handlebars. In this regard, they have a lot in common with the performance hybrids described above. When looking at the product line of various manufacturers, you’ll discover that these bikes are seldom grouped together in their own category. When manufacturers did identify them in a separate category, they quickly picked up the stigma of being known as “comfort bikes”. This kept serious cyclists away because “comfort bikes” is a term that most people equate with those plush hybrids that are used for sedate rides around the neighbourhood. In order to avoid this label, manufacturers now mix them in with their regular line of road racing bikes. This marketing strategy appears to be working because these bikes are very popular and are selling well. If you are shopping for one of these bikes, you can spot them by keeping an eye out for telltale buzzwords about “a more upright riding position” or a “relaxed geometry”, or “taller head tube”. Also, when looking at the side profile of this type of bike, you’ll notice that the top of the handlebars are almost at the same height as the saddle (the seat). This is easy to see when comparing various models online. Also, as was the case with performance hybrids, it’s always possible to move the handlebars a little higher by swapping the standard stem for one with more rise. Needless to say, the models in this category come with road bike gearing and large diameter wheels which are usually fitted very narrow tires (700 x 23mm, or maybe 700 x 25 mm tires). Unlike the other types of bikes described thus far, they will be equipped with light weight calliper brakes. More often than not, these will be “long reach” brakes, which leave enough room to install fenders and/or larger tires. Some of these bikes (not all) also have “braze-ons” to mount a rear rack directly to the frame. Although they shouldn’t be heavily loaded, many can be used for light touring (e.g 5 to 6 kilos in the back panniers). As already mentioned, bikes in this category have drop bars. The good news with these handlebars is that they provide for at least four holding positions; only one of which is on the lower part of the bar. On these bikes the brake levers also double as gear shifters. While these levers can be controlled from two holding positions on the drop bars, they will take some getting used to for people who are accustomed to the trigger style shifters found on mountain and hybrid bikes. 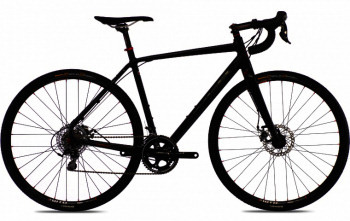 These bikes have drop bars, and at first glace, they look a lot like other road bikes. However, they have some significant differences which makes them suitable for carrying heavy loads for long distance touring. Here, we’re talking over 20 kilos (44 pounds) of baggage on rides covering 100 to 200 kilometres a day. Obviously, touring bikes have to be built strong. 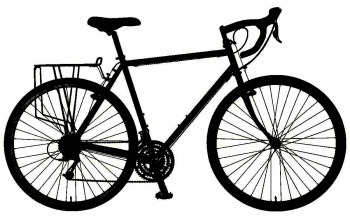 Unlike many other types of bikes which are made of aluminum, carbon fibre, or a combination of both, many touring bikes are built with a steel (chromoly) frames. Not only is this a strong material, steel frames are very good at dampening out road vibrations which can become tiring when riding all day. These bikes also come with stronger wheels (rims) and often make use of more robust mountain bike components for certain functions (e.g. the derailleur and wheel hubs). They usually have frame mounted cantilever brakes for extra stopping power, and are typically fitted with tires that are slightly wider than what you would see on road bikes (700 x 28 mm or 700 x 32 mm tires). Touring bikes have a few more distinctive features. For example, they tend to have a longer wheel base, which provides greater directional stability and a more relaxing ride. It is worth noting that they are the only off-the-shelve bike that comes with both the super low gearing found on mountain bikes, and the high gearing which standard on road bikes. In addition to be able to mount fenders and rear rack on these bikes, they normally come with braze-ons needed for a third water bottle cage and to install racks on the front fork. By their very nature, touring bikes are designed for a more upright riding position. Because touring bikes are built strong and are able to absorb a lot of abuse, people often use them as a multi-purpose bike. However, they do have their disadvantages. Touring bikes tend to be noticeably heavier than the typical road bike, and they are not known for being overly agile or responsive. In other words, they have qualities you’ll come to appreciate when cycling long distances, but they are not quite as lively or fun to use on shorter rides. Although cyclocross bikes have drop bars and resemble road bicycles, they are the original off-road bicycle (they predate mountain bikes by several decades). They are designed for cyclocross racing, which involves a relatively short course that can include some paved sections, earth, gravel, and grass surfaces, stretches of unadulterated mud, and various other obstacles (natural and man-made). Because they are meant to be ridden on rough terrain, cyclocross bikes are a little more robust than a pure road bicycle, and they tend to weight a bit more. They also have wider tire clearances and are often equipped with cantilever brakes, features which help keep everything from getting clogged up with mud. In recent years, more and more cyclocross bikes come fitted with disc brakes, which have a reputation for working better in wet or muddy conditions. Although it varies from manufacturer to manufacturer, cyclocross bikes tend to have a riding position that is a touch higher than what is found on typical road bikes. Because of their racing lineage, most Cyclocross bikes will offer fairly quick and responsive handling. Cyclocross bikes have the same 700 wheel size as road models, but they are usually equipped with wider tires (700 x 32 mm or even 700 x 35 mm tires). Although these are noticeably wider that the typical 23 or 25 mm tires found on a road bike, they are much, much narrower than the tires on the average mountain bike. Bikes being sold specifically for cyclocross racing will come with tires that have a fairly heavy thread pattern or even small knobs. During the past couple of decades, cyclocross has become very popular in North America, and most of the large bicycle manufacturers now offer a few cyclocross models. As a result, a growing number of people who are looking for a robust and versatile bike have started using cyclocross models as their everyday bicycle. When doing so, most people will swap the cyclocross tires for something more appropriate for road use (maybe 700×28 tires with a lighter thread pattern). It’s worth noting that manufacturers have tuned into the fact that many cyclocross bikes are being sold as general purpose bicycles, and many of the low and mid-level models now come equipped with tires that are more oriented for road use. These model may come with braze-ons for mounting racks, something rarely found on higher-end model that are actually used for racing. Love them or hate ’em, these are the bikes at the top of the food chain. If you spend enough money, you’ll be able to get the same model the pros use to win the Tour de France or Giro d’Italia. In the automotive world, this would be like buying a Formula One car and driving it around town. When people think of drop bars and racing, these are the type of bikes that come to mind. They are light weight, fast, responsive, and will accelerate quickly when you stomp down on the pedals. The more expensive models will be made of carbon fibre and sometimes titanium, but even the cheaper ones that have aluminum frames will generally come with carbon fibre forks. These bikes are equipped with dual-pivot calliper brakes and large diameter wheels that are almost always fitted with very narrow tires (700 x 23 mm tires). As is the case with most bikes that have drop bars, they will be equipped with gear shifters that are incorporated in the brake levers. It is worth noting what doesn’t come with racing-type road bikes. They rarely, if ever have braze-ons for mounting racks or fenders. Even if they did, there is usually not enough clearance between the calliper brakes (standard reach) and the top of the tires to install fenders. In fact, there may only be enough clearance to go up one tire size (i.e. from 23mm to 25 mm tires). Needless to say, these bikes have a riding position that requires that you bend over low handlebars. When looking at the side profile of a racing-type road bike, you notice that the saddle can be significantly higher than the top of the handlebars. This is particularly true of some of the more expensive models that are aimed at competitive cyclists who will actually be racing. However, not all models have an ultra low riding position, especially those in the low to middle price range. Manufacturers realize that not everyone will be racing these bikes, so a little of the so called “relaxed geometry” has crept into the design of certain models. In other words, don’t automatically reject these bikes because you believe they all come with a torturous riding position. Some can be a bit more comfortable than you would expect. The only way to know is to go out for a quick test ride. Although many people buy these bikes for general use, they are at their weakest when it comes to carrying anything. If you plan to use one to commute to work, you probably have to get a small back pack. (But don’t carry too much in the back pack because it can make you and the bike top heavy.) In a pinch, you may be able to rig up a way of attaching a rear rack on some models, and thus make the bike useful for light touring. However, this is likely to be a temporary arrangement at best. On the other hand, these bikes can be fun to use on “supported tours”, where a “support vehicle” is used to move the bags and supplies from one destination to the next. Bottom line: If you are comfortable with the riding position, this is what you should get if you are primarily interested in a bike that is fast, responsive and fun to ride. (Price range: stating from $900 to $1400). It is important to remember that the different categories of bicycles described above are somewhat arbitrary, and are by no means absolute. You’ll find that these categories will usually work well when looking at the product line of larger manufacturers, or at a number of different brands in a bicycle shop. Other times the distinctions between these categories will be less clear. It should be mentioned that there are other types of road bikes which are not included in the categories described above. Tandem bicycles is one example. Obviously, these are not suitable for general use. Also, it is advisable to rent one to see if both you and your partner will like this kind of cycling before buying a tandem bike. And then there are the time trial or triathlon bicycles. These high speed machines are designed for solo racing (no drafting in a group) over a limited distance. They are not even suitable for regular road racing, so they are hardly appropriate for use as a multi-purpose bike. 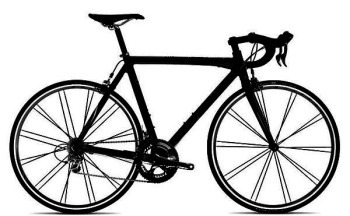 Track or fixed-gear bikes is another type of road bike that you are sure to come across in today’s market. These have become immensely popular in recent years, but they only have one gear ratio and their pedals are always turning when the bike is moving (no coasting, you have to pedal even going downhill). The simplicity of fixed gear bikes means they are very easy to maintain, and they come with an entire philosophy about how they allow people to connect to the very essence of cycling. However, the lack of multiple-gears, or multiple-speeds, means that they are not ideal for use as a general purpose bike (although some would argue otherwise). The growing availability of women specific models is another noteworthy development in the bicycle market. These models can be found in the performance hybrids and road bikes categories, and have little to do with the old fashion notion that women’s bicycles had to have step-through frames so ladies could ride in their skirts. Many of the so called standard bikes are designed with men in mind. While it is often possible to take certain models and make the necessary adjustments to obtain the proper fit for a lot of woman, this does not always produce satisfactory results. In response, more and more manufacturers have started making women specific bikes. These have a geometry that is optimized for the female body (e.g. shorter top tube), and are usually fitted with components such as saddles, handlebars, and brake levers which are customized for a woman’s anatomy. All this makes for better bike fit, increased cycling efficiency, and ultimately, a more comfortable ride. It’s definitely something women should look into when shopping for a bike. When looking at various models, you’ll quickly notice that the material used for making the frame can have a major impact on the cost of a bike. Models in the low to mid price range will generally be made of aluminum, although there are still a number of good bikes with steel (chromoly) frames. As the price goes up, the frame will probably be made with light weight aluminum tubing with thinner walls, and the welded joints will have a nicer finish. The aluminum frames of bikes in the upper mid price range will usually have carbon fibre parts. For example, they may have carbon inserts in the seat stays (the small frame tubes that run from the rear axle up to the seat). This is supposed to provide for a more comfortable ride and can make the bike lighter. Many top-of-the-line bikes will have a frame made completely of carbon fibre. Not long ago you couldn’t even think of buying carbon fibre bike for less than $5000. Nowadays, it’s possible to get one for a little under $2000, although there are differences between low cost and expensive carbon fibre frames. Note that expensive bikes with carbon fibre frames or very thin aluminum tubing may not always be the best choice for general use. Their frames are quite delicate and can easily be damaged when subjected to any kind of abuse. For example, you should never carry such a bike on the type of car rack that clamps down on the bicycle frame. You can crush the tubing when applying enough force on the clamps to hold the bicycle in place. In addition to the frame material, the price will be greatly affected by the quality of the components or groupsets installed on a particular bike. Groupsets include all sorts of components such as derailleurs, brakes, gear shifters, wheel hubs, brake levers, and so on. Component manufacturers make a variety of different groupsets, each with a different quality and price level. It is a good idea to be familiar with these when shopping for a bicycle. You will find Shimano components on the large majority of bikes in the low to mid level price range. While Shimano makes some of the best groupsets in the world, you should be aware that they also put their name on some very inexpensive components that go on cheap department store bikes. You should also know that bicycle manufacturers often try to enhance the value of a particular model by throwing in a derailleur or other item from a more expensive groupset on a bike that is otherwise equipped with lower cost components. There is nothing especially bad about this; it’s simply a matter of realizing that bikes are not always equipped with components from the same groupset. The table below provides an overview of some of the main groupsets, and the order in which they appear in product lines of the major components manufacturers. This table does not include any of the really cheap groupsets that are used to equip department store bikes. It’s also worth noting that Shimano and Campagnolo now offer electric shifting option for their top of the line components, but these are still very expensive. The Shimano mountain bike groupsets are provided because touring bicycles and certain hybrid models are often fitted with some mountain bike components. The days when almost all road bikes simply had 10 speeds are long gone. Today, bicycles that are equipped with derailleurs can have a variety speeds, ranging from 16 to as high as 30. The exact number of speeds is determined by multiplying the number of gears in the front by the numbers gears on the back wheel. 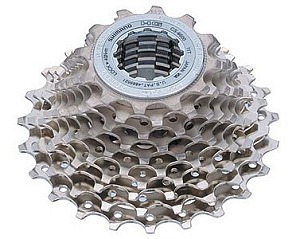 A Shimano 10 Speed Cassette. When the gears (cogs) on the back wheel are together as a unit, it is called a cassette. The cassettes from the most popular groupsets will have either 8, 9, or 10 gears (although some the top-of-the-line cassettes now has 11 gears). The large gears in the front (where the pedal arms are attached) are called chainrings. Today many bikes come with triple chainrings. If a bike is equipped with a triple chainring and a cassette with 8 gears in the back, it would have 24 speeds (3 x 8 = 24). This is enough to satisfy many people, but more expensive groupsets will come with cassettes that have 9 or 10 gears on the back wheel, which would translate into a total of 27 or 30 speeds for a bike. Just to cause a little confusion, the term “speeds” is also used to describe the number of gears on a cassette. For example, a cassette with 8 gears is often called an 8 speed cassette. It is also worth noting that pure road racing bikes usually come with only two chainrings. Racers don’t like shifting gears on the front chainrings because it is not very smooth. They find that double chainrings are enough, and that triple chainrings cause problems and add needless weight to the bike. If you want to know if a bike will have good “low gearing” for climbing hills, look at the largest gear on the cassette on the back wheel. Ideally, it should have at least 27 or 28 teeth. (There could be as many as 32 teeth on a cassette from a mountain bike groupset.) On the other hand, a bike will have good “high gearing” for pedaling fast if it has 50 to 53 teeth on the their largest chainring in the front. These are only guidelines because the low and high gearing will be determined by the actual gear ratios between the front and rear gears. The prices given in this article are for quality bikes that are generally sold in dedicated bike shops, and are realistic for the Ottawa market in 2009. They cover the lower end of the price range, and may, to a limited extent, include some models in the mid price range. This segment of the market is quite competitive, and unless you are looking for the lowest possible price, it should provide you with a good selection of models to choose from. You can expect to see prices drop by 10% to 20% in the off season, usually in the fall, and maybe the early winter. There may even be good discounts in late summer if bike shops are stuck with large inventories (because of poor sales if the weather was particularly cool or rainy in the spring and early summer). On the other hand, you could easily pay 5 to 10 times more than the prices indicated if you intend to buy a bike that is similar to what the pros use to win major road races. Where should you shop and purchase a new bicycle? The answer is very simple: at a dedicated bicycle shop. Most of them only sell quality bikes, and this is true even of their lower cost entry level models. Bike shops will usually encourage you to take a short test ride, and they generally have the expertise to assess your riding position and ensure you are properly fitted with the right size bike. One of the big advantages of bike shops is that they will have full-time qualified bicycle mechanics on staff, and this will be a major plus when it comes time to repair or maintain your bicycle. As an added bonus, most shops will include two or three free tune ups with the purchase of one of their bikes. Note that there are a couple of outdoor sports stores (not many) that offer the same benefits as a dedicated bike shop. 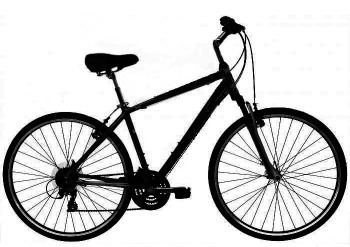 These are stores that carry recognized brand name bikes, offer a wide variety of models and frame sizes, and have a real repair shop with qualified mechanics on the premises. If the sports store fails on any of these counts, you may want to look elsewhere. Some people may be tempted to look at bikes at department or sport stores which can sometimes sell for considerably less than anything you will find in a bike shop. However, these inexpensive bikes can be very cheap and many will be fitted with second rate components. It is true that some of these stores may also have bikes that are one step up in quality, but they will have a limited choice of models or frame sizes. In most cases, these bikes will likely have been assembled by a kid with an impact wrench (not the best way to put together a bicycle). When shopping for a bicycle, you should also consider that bike shops can be very busy places on nice weekends throughout much of April, all of May, and even the beginning of June. If you would like to ask lots of questions and make detailed comparisons, you may be better off doing your shopping in early spring or other times of the year when bike shops are a little less hectic. You can also avoid some of the rush during the busy spring period by going on a weekday. And finally, if you’re on a tight budget, there’s always the used market. If you do go this route, it is best to follow the local used market for a while to see what’s available and at what prices. Kijiji seems to have the largest number of used bike listings in the Ottawa-Gatineau area, but Used Ottawa and Craigslist are also worth checking out. Spring and early summer is when the used market appears to offer the best selection and the best prices. On the other hand, used bicycles often seem to be a little over price in the fall (relative to the discounted prices offered by bike shops).